Steve North was a young broadcast journalist the night John Lennon was shot. He remembers being the first to confirm the horrifying news on the air 30 years ago today. I was working late that cold December night on a report to be broadcast the following morning. As news director of a Long Island, New York, radio station, I did a daily feature on whatever subjects might be of interest to our young, rock music-oriented audience. The topic that night, ironically, was gun control. As I was completing the report, one of the station's student interns burst into the studio, red-faced and breathless. "They just said on TV someone was shot outside the Dakota building and that it might be John Lennon," he yelled. I raced to the newsroom, grabbed an AP wire with the same sketchy information, told the disc jockey to turn on the microphone in my news booth, and broadcast the bulletin. Now on automatic pilot, I returned to the newsroom, desperately dialed the Dakota's police precinct, and managed to get through to an officer who provided more details on the shooting, but could not confirm the fate or identity of the victim. I went on the air two or three more times over the next 20 minutes, telling our listeners what I knew. As the local, then national, airwaves exploded with speculation, I again reached the same helpful police officer who calmly, but with some hesitation, said, "Well, I guess it's OK to tell you now that it was John Lennon, and that he's dead." I gasped, slammed the news booth door shut and gestured wildly for the DJ to stop the music and open my mike. I repeated what the cop had just told me, thereby becoming the first (according to many who were monitoring different stations that night) to report the death of John Lennon. After the words left my mouth, I looked at the stunned face of my colleague, then realized that I literally could not speak. I think in that choking, adrenalin-filled moment, the enormity of what had just happened not only to Lennon, but to every member of my generation, suddenly dawned on me. My mind was jolted back to that morning in January 1964 when my radio clicked on and I heard the sweet sounds of "I Want to Hold Your Hand" for the first time. I was nearly 11 years old, and I clearly remember my instantaneous reaction: "I LOVE this, and my parents are gonna HATE it!" I recalled the raucous Ed Sullivan shows, my sister's treasured Beatles trading-card collection, and the day I was crossing Broadway and bumped into a white stretch limo stuck in traffic, carrying John and Yoko. My friends and I waved excitedly to them, and they smiled and waved back. But here I was now in a news booth, speechless after having just announced the death of an icon. The disc jockey mumbled a few words, then played whatever record was cued up on his turntable. I can't name the song, but I do remember that it was entirely inappropriate. About 10 minutes later, official word crossed the wires, and the world heard the astonishing news. The rest of that long night is a blur. I have never once heard John Lennon's voice without thinking of that awful night. We aired Beatles and Lennon music nonstop, and hundreds of listeners called or came to the station to express and share their profound shock and grief. I conducted telephone interviews with anyone I could find who knew the man: musicians such as Billy Joel, pop-culture historians, the director of the Sullivan programs, movie critic Rex Reed, who lived in the Dakota and described the Lennons as unfailingly "kind, thoughtful, and polite" neighbors. Even Geraldo Rivera, whose friendship with the controversial couple led to their final live concert: a benefit for the developmentally disabled. Around daybreak, I broadcast my unexpectedly timely report on gun control, and told the audience that what had occurred on West 72nd Street in Manhattan should be unacceptable in a civilized society. I noted that Lennon had spent the latter part of his life pointing out what was wrong with the world; the circumstances of his death sadly reinforced his message. With all the accumulated wisdom of my 27 years, I also solemnly informed my listeners that no one would ever again be able to listen to Beatles music in the same way, with the same joy. The killer had stolen that from us, as he had robbed Lennon's life from him. For a new generation of music lovers, and probably for most of my peers, my prediction has not held. But for me, it's been true. In the three decades since his murder, I have never once heard John Lennon's voice without thinking of that awful night, and how a superbly talented man of peace was taken from us by a cruel and still incomprehensible act of violence. Steve North is a longtime broadcast journalist and writer. He has worked at ABC-TV, as news director of two NY radio stations, as correspondent/newscast anchor at NBC Radio, and feature reporter/producer at the RKO/United Stations Radio Networks. For 15 years, he was a writer/producer at CNBC-TV and newscast anchor at CNBC Business Radio, before coming to CBS as broadcast writer for the CBS Early Show. 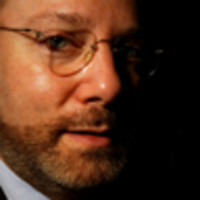 His articles have appeared on or in Newsweek.com, People magazine, The Jerusalem Post, Salon.com, and Newsday.